I’ve speculated in the past that fleets would tire of natural gas engines, partic­ularly as legislators or regulators began taxing the alternative fuel on the same basis as diesel. Several years ago, it seemed to me that fleets invested in natural gas just to check the proverbial box on a corporate mandate about sustaining the environment. But early adopters of natural gas engines have demonstrated some operational and maintenance advantages over today’s diesel engine: Prices and the supply of diesel will continue to be volatile, likely keeping natural gas cheaper than diesel for the foreseeable future. And the complex maintenance of the emissions-control systems on today’s diesel engines will remain costly. A case for natural gas ­engines was given a boost re­cently when Cummins Inc. voluntarily recalled 500,000 medium- and heavy-duty engines for a failed catalyst in the selective catalytic reduction, or SCR, emissions-control system. Natural gas engines do not require SCR. An early adopter of natural gas engines, UPS Inc. announced in June another $130 million invest­ment in natural gas vehicles, including 400 on-highway tractors. 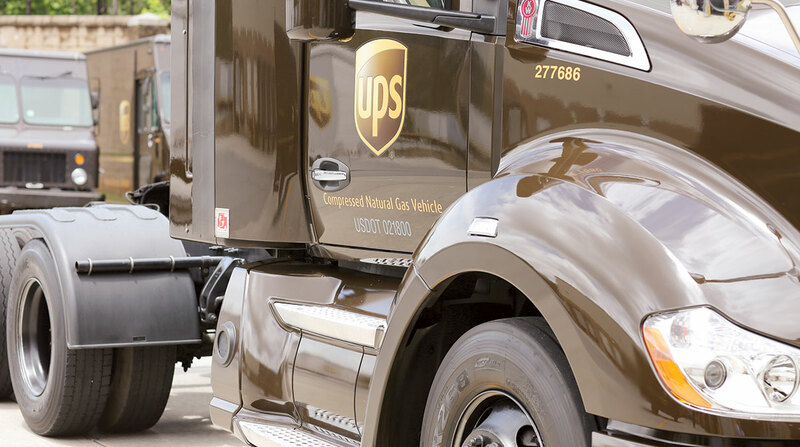 According to Bill Brentar, UPS senior director of maintenance and engineering, natural gas engines have shorter oil change intervals than diesels; and, unlike diesels, they require periodic valve adjustments and spark plug replacement. But they do not require the “expensive emissions equipment maintenance,” such as the diesel particulate filter and regeneration. Nor, he added, do natural gas engines require diesel exhaust fluid. “Up to this point, the pros and cons appear to be balancing out,” he said. AJR Trucking in Rancho Dominguez, Calif., also made news in May when it put in service the first of 20 Kenworth T680 day cabs powered by Cummins Westport’s 12-liter ISX12N natural gas engine. According to Cummins Westport, exhaust emissions for this engine are 90% lower than the current standards for diesel exhaust. Jack Khudikyan, co-owner of AJR, said a yearlong test provided the data the fleet needed to confidently bid on a contract with the U.S. Postal Service, knowing higher maintenance costs would be offset by fuel costs that are about half of diesel. Depending on the duty cycle, he said compressed natural gas engine maintenance costs can be 15% higher than those for diesel. One significant drawback to a CNG fuel system is the added weight of tanks. AJR Trucking specified tanks that hold the equivalent of 167 gallons of diesel, giving the new tractors a range of about 700 miles. The tankage adds 4,200 pounds to the weight of each tractor. UPS also experienced a weight gain on tractors using CNG. But in addition to the 2,500-pound increase, day-cab tractors with a CNG fuel system require a second drive axle to accommodate the weight. The fleet can operate single-drive-axle tractors when liquefied natural gas (LNG) is used because that fuel system is not as heavy. Time and these experiences have changed my mind about natural gas engines in heavy-duty applications. Fleets have adopted them because they provide operational — and environmental — benefits. Phil Romba has covered trucks and maintenance as a full-time journalist and worked as a public relations manager for Volvo Trucks North ­America during his 20-year-plus career.